In Massachusetts, a homeowners' association is an entity made up of homeowners that live within an area who ensure the provision and maintenance of certain shared facilities and enforce various covenants and restrictions. The HOA is created by recording a Declaration of Covenants, Conditions and Restrictions in the local land records. The bylaws of an HOA, unlike the bylaws of a condominium, are not recorded in land records. Usually HOA bylaws delegate the obligations for governing the HOA to a Board of Directors. The Board adopts various rules and regulations and enforces the HOA's governing documents. Typically each member of the HOA owns a lot, but the HOA, not the individual owners of the lots own the common area through a deed from the developer. Due to the complicated nature of HOA bylaws, an experienced real estate attorney in Boston can help you draft or change bylaws in accordance with applicable rules and regulations. Often homeowners' associations are incorporated as nonprofit corporations in Massachusetts. If so, they will be subject to the state statutes that govern corporations. The policies related to the daily operation of the HOA are usually found in the association's governing documents. The governing documents include the bylaws, as well as the Declaration of Covenants, Conditions, and Restrictions (CC&Rs) and rules and regulations. Bylaws may need to be changed because the population of the community changes. Massachusetts state laws do not legislate what the HOA election process must be. Often there is low attendance at HOA voting meetings. However, the status quo of an association can only change through the vote of a quorum, so it is important for an attorney to carefully draft the initial bylaws to allow a community's anticipated needs to be met, including the procedures by which the rules of the community can be changed. The HOA bylaws specify what constitutes a quorum, which is the minimum number of members necessary to conduct the business of the HOA. Usually the quorum is defined as a simple majority of members, but the specific bylaws must be consulted to know. Among other things, the HOA bylaws will include a provision for whether proxy votes are permissible. These are when a voter designates somebody else to cast his or her vote using a signed letter or form. Usually the voter can indicate what his vote will be or leave the choice up to the proxy. In Boston, it is important to consult an experienced attorney when you decide to create a homeowners' association or purchase a home that is a member of a homeowners' association. 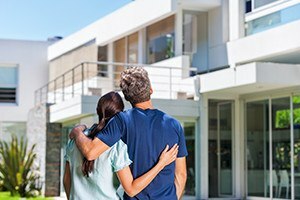 While a particular home in Boston may seem like an ideal fit, there may be some aspects of the HOA Bylaws that could impact your daily living experience and you should know what you are getting into by investing in a property regulated by an HOA. The experienced HOA attorneys of Pulgini & Norton can help make sure that you will be able to use your property as you see wish. We represent clients in New Bedford, Andover, and Hyde Park. Call us at 781-843-2200 or contact us via our online form for a consultation.